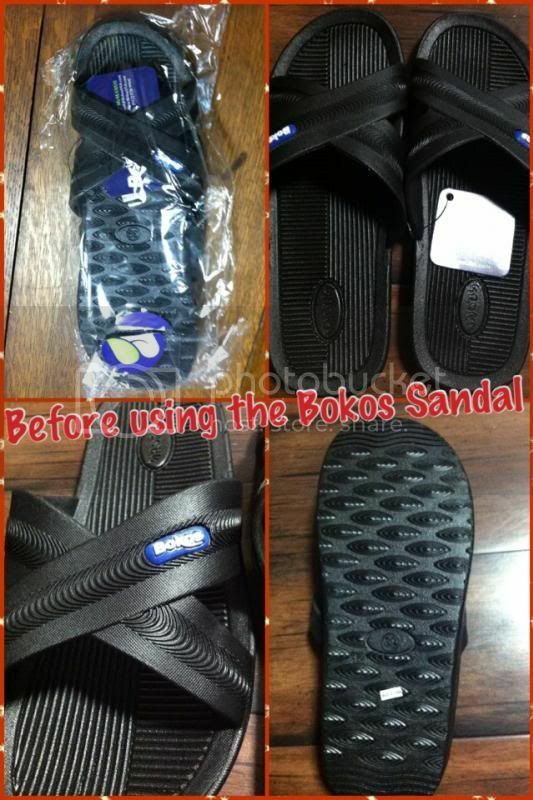 I received a pair of Bokos famous Sandal in the mail for an evaluation. It is always nice to receive in such wonderful product. I am very delightful, as I will be going to use the sandal this summer. A good pair of footwear to use while walking is just what I am looking for. I love the Bokos Women's Black Sandal, size 7. · Bokos came in the mail unexpectedly. The shipping is fast. · Packaging is okay, the sandal is wrapped in a transparent bag. · When I put the sandal on, I feel very soft, very comfortable, and light. · It doesn’t hurt the edge of my feet after walking back and forth. · Lovely and simple design, which by the way comes with different color and I choose black. · It doesn’t squeak while you walk on tiles, which I find it irritating. · I can use it anywhere too. · The only problem that I don’t like about the sandal has had a funny smell. It might be the result of the kind of material made and is it new so that might be one of the reasons of the reeks. It doesn’t bother me at all, you can’t really tell the smell unless you get that sandal closer to your nose. Later on that day, after using the slipper for awhile the smell subsided. I have a happy feet!!! Overall, the Bokos Sandal is remarkable. I like the product for the first time I wear it. I want to buy another color someday. If you want to get your own pair, please visit the website at www.BokosUSA.com. They have more colors to offer. Thank you Bokos you’re incredible! I wear sandals everywhere! I only where tennis shoes when I'm working out. A good pair of sandals is a must have. Those look so comfy. I always wear slip on shoes unless running of course. I will have to check these out. That sandals looks comfy and since it is summer, it is a must have for going out and about. I like the style of the sandal, something my husband would love to wear. He preferred to wear it compare to the Y sandals or flip flops. Thanks for sharing this site mommy, i will definitely check this out. I like good sandals but I don't like it when they smell. Hopefully the smell will go away. Yay! I can't wait for mine too, I got orange :) It was shipped the other day and I'm just waiting for it to arrive. Nice sandal. That is great and comfy for summer! I want one pair for myself. They are cute I want a pair too, I could use some airy shoews!